Marie-Pierre brings up the interesting question of not only what anthropologists do, but also who they are as people. As she indicates, there seems to be a clear divide in representations by the media of archaeologists versus anthropologists. While archaeologists personify tropes of recklessness, a thirst for adventure and a devil-may-care attitude about safety or cultural appropriation, anthropologists tend to be construed as the socially inept foil to the protagonist, an individual far more concerned with dusty texts and tomes than interacting with the real world. In many media representations of anthropologists, they seem so immersed in their studies that they lose track of reality or are incapable of routinized, yet comfortable, social interaction. In the popular show Bones, Temperance Brennan is an anthropologist that specializes in forensic anthropology, a skill she employs to investigate crime. Despite, or perhaps because of Brennan’s intellectual acumen, her characterization places her somewhere on the Autism spectrum. She acknowledges that she has difficulty with non-verbal communication, and is generally depicted as being socially inept and tactless. She has difficulty expressing emotions or demonstrating empathy for others, and cannot seem to pick up on humor. Her profession—the ability to calmly examine dead bodies as objects rather than people and employ rationality when faced with otherwise emotionally complicated situations—serves as her crutch as well. Within the show, we can see that Brennan cannot be understood or separated from forensic anthropology—she was attracted to the profession due to her genius and social ineptitude, and her profession allows her to negotiate her relationships throughout Bones through a clinical, scholarly lens. This representation of an anthropologist speculated to have Asperger’s, however, misapprehends the emphasis of social interactions in ethnographic fieldwork. 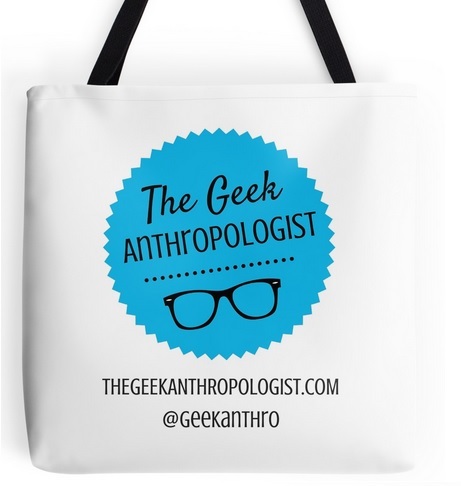 Anthropologists study societies and cultures primarily through actual interaction and engagement, a practice that involves interviews and communication strategies across cultures. An individual uncomfortable with basic human social interaction is unlikely to become an anthropologist, considering the fact that building relationships and social correspondence within communities is the backbone of the discipline. Bones on bones on bones. Then there are anthropologist characters who can easily carry out a conversation, but are inept in other ways. In The Mummy (1999), Evelyn Carnahan is an Egyptologist, which is basically an anthropologist who specializes in ancient Egyptian languages, history, literature, religion, architecture and art. Throughout the movie, she is the foil to Rick O’Connell, a professional adventurer with the French Foreign Legion (i.e. white male hero). Damsel in distress trope much, Evie? Evie provides the academic knowledge about the Book of the Dead, Imhotep, and the religious principles guiding the mummy’s resurrection and revenge against his pillaged organs, yet is characterized as clumsy and physically inexperienced. She accidentally knocks over all the shelves in the Cairo library and continually fumbles with the physical aspects of their adventure. She assists O’Connell but serves as comic relief, reifying the stereotype of intellectual eggheads incapable of more bodily challenges. This characterization, however, reveals the media’s misconception about the material demands of fieldwork and ethnographic study. Practicing anthropologists must live within the communities that they study, often undergoing physical discomfort for the sake of cultural integration and participant observation. Anthropologists studying nomadic or agricultural communities travel with the groups, helping with the labors expected of the rest of the community. Depending on the fieldwork site, anthropologists may have to endure difficult environmental conditions, such as extreme heat or cold, bugs, health concerns, sanitation and hunger. These corporeal demands require a certain athleticism or finesse from the anthropologist, who must be both mentally and physically fit for the experience. Whether socially uncomfortable or ill suited for adventure, anthropologists are primarily depicted as outsiders. They are often portrayed as strangers within their own communities, having difficulty connecting with their own colleagues, let alone those from other cultures. In a conversation with a fellow anthropology major, my friend commented, “You know, most anthropologists must feel a little out of place in their own cultures. That’s why they go to study others.” It made me consider the kind of personality someone would have to possess to pursue a profession where they spend long periods of their life feeling estranged, on the outside looking in, hoping, one day, to be brought into the fold. To what extent are anthropologists discomfited or dissatisfied by the culture into which they have been born or socialized into? Perhaps many anthropologists feel like outsiders in their own right, and are subsequently attracted to a job that entails, as Clifford Geertz says, being a professional outsider or stranger. If one feels different or separate from their own culture, it may predispose them to the unique perspective required of anthropologists to see and understand the interworkings of other cultures both academically and sympathetically. In such a way, this outsider status for anthropologists in the media may not be entirely false or fabricated. Sometimes, however, the anthropologist as outsider and the adventurer hero tropes merge. In Atlantis: The Lost Empire (2001), Milo Thatch is a bumbling cartographer and linguist at the Smithsonian, convinced that he has discovered a map leading to the mythic world of Atlantis. Without academic support from his colleagues, he turns to eccentric millionaire Preston B. Whitmore to finance the exploratory mission. The Atlantis reconnaissance team consists of a rough and tumble crew, including a mechanic, a demolitions expert, a geologist and a medical officer. Although Milo’s theory about Atlantis is the guiding force behind the expedition, he feels distinctly separate and incompetent in comparison to the rest of the crew, who make him feel ineffectual and awkward. Despite Milo’s gangly appearance and gawky personality, he eventually endears himself to the crew and the Atlanteans they meet, especially Kida, Princess of Atlantis. Ultimately, Milo uses his arcane knowledge of Atlantis language and mythology to teach the Atlaneans about their own culture and unlock the power of the ancient ancestors. When Commander Rourke and Lieutenant Sinclair betray Milo and turn on Atlantis, endangering the city and its people, it is Milo that ends up saving the day, defying the stereotype of ineptitude and proving the practical use of his academic knowledge. The way that certain people or professions are represented also speaks to whom the audience chooses to identify with. Anthropologists ask the audience to go beyond their own desires and needs to consider those of others—other cultures, other socioeconomic standings, other belief systems. Instead of instinctually defending the people from their own culture, anthropologists often encourage the audience to consider a more holistic and inclusive perspective, one that fits multiple cultural worlds. It is possible that this stance makes audience members somewhat distrustful of anthropologist characters, which reproduces vaguely unappealing stereotypes. Anthropologists may be the outsiders so that they can help us see from new, and perhaps novel, perspectives. 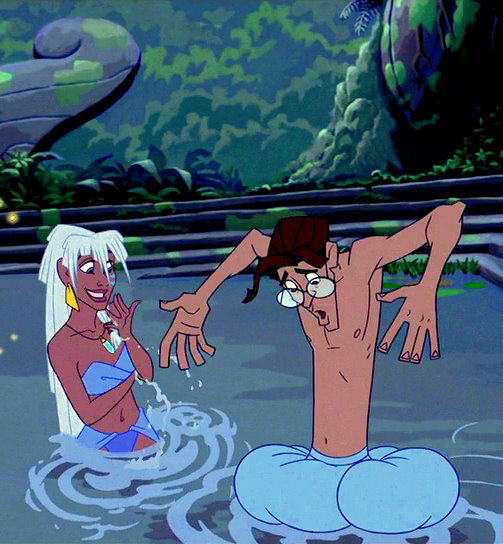 Atlantis: The Lost Empire (2001). Dir. Gary Trousdale & Kirk Wise. Walt Disney Animation Studios. Bones (2005-). 20th Century Fox Television. The Mummy (1999). Dir. Stephen Sommers. Universal Pictures.